 Scripture Union South Africa (“SUSA,” “we” or “our”) respects the privacy concerns of the visitors to www.sumag.co.za (the “Website”). As a general policy, no personal information is automatically collected from users of the site. In the event that we do collect any personally identifiable data about visitors to this site, that information is only collected on a voluntary basis, and it is only known to SUSA. The Website may collect personal information with your knowledge and consent. For instance, when you enter a contest, complete a survey, make a purchase, subscribe to our magazine, or register for any portion of our services, you may be asked to provide information such as your e-mail address, name, address or phone number. Additional information such as your age or gender may also be requested. Certain non-personal information of visitors is recorded by the standard operation of our Internet servers, including without limitation the type of browser software you use, the operating system you are running, the website that referred you, and the domain name of the visitor’s Internet service provider. SUSA uses this information to provide you with the service you have requested. For instance, if you subscribe to any of our publications we may use your e-mail address to send you a confirmation notice and your mailing address to send you the publication. In the same way, if you enter an online competition, we will use this information to notify you if you are a winner. We may also use the information to communicate with you about new features, products or services, partner highlights, and/or to improve the services that we offer by tailoring them to your needs. 14 Park Road, Rondebosch, Cape Town, South Africa.